As a place long mostly associated with sinful endeavors, like legal gambling, few outsiders think of Reno as offering much when it comes to matters of a more religious nature, such as churches. But contrary to such stereotypes, the Biggest Little City is home to a number of houses of worship, including many that are historic, which disprove that reputation. 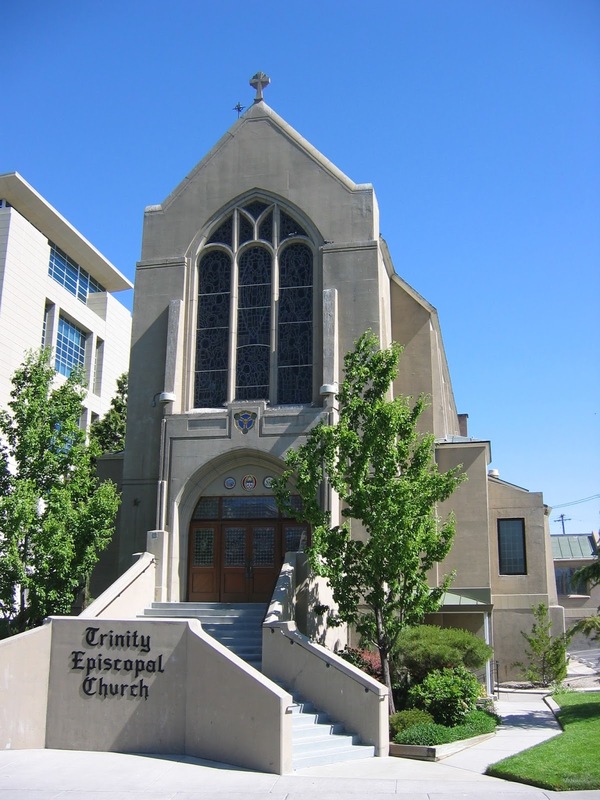 Indeed, three of Nevada’s finest historic churches are found within a few blocks of each other in downtown Reno. The oldest is the stone and brick St. Thomas Aquinas Cathedral on the corner of Arlington Avenue and West Second Street. Erected in 1908, the cathedral is part of a complex of buildings that includes a former school and a rectory, which were added in 1930. The cathedral itself is impressive with its twin Baroque/Classical towers facing Second Street. Two large, copper-covered doors, engraved with Bible scenes, protect the entrance. The copper used to make the doors was mined in Ely while, inside, the altar and rails were crafted in aragonite that came from Tonopah. 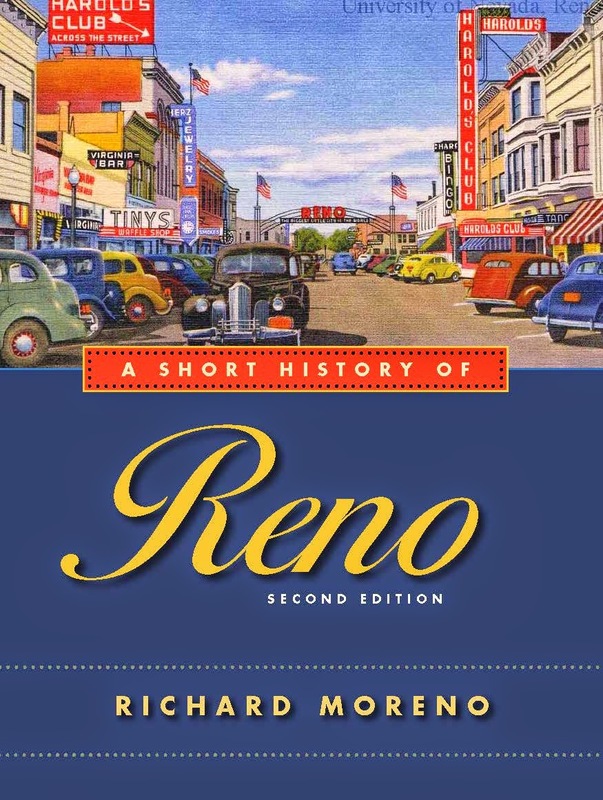 According to Dr. Holly Walton-Buchanan, author of the excellent book, “Historic Houses and Buildings of Reno, Nevada,” the church was partially destroyed by fire in 1909 and immediately rebuilt by its parishioners. The church became a cathedral—home church of a Catholic bishop—in 1931 after Pope Pius XI visited that year and a new bishop, Thomas Gorman, was designated for Nevada. Another impressive place of worship, located a few blocks east of St. Thomas Cathedral, is the First United Methodist Church (201 West First Street), constructed in 1926. This ornate monolith—Walton-Buchanan described it as the “gray lady of West First Street”—was one of Reno’s first poured concrete buildings. In fact, as Walton-Buchanan points out, close inspection reveals the grain of the wooden forms into which the concrete was poured. Built in a Gothic Revival architectural style, the Methodist Church was originally smaller than how it appears today. In 1940, a two-story connecting wing and parish house were added on the west side of the church. The church’s tallest towers are more than four-stories tall, although they look toy-like when compared to the surrounding condominium and hotel-casino towers. The church boasts several noteworthy stained glass windows, installed in the 1940s, including the Holy Family Window, said to be worth more than $8,000. Reno’s last temple of the divine is the Trinity Episcopal Church at 200 Island Avenue. Erected in 1929 and enlarged in 1948, this concrete Gothic structure on the banks of the Truckee River is an imposing landmark. According to Walton-Buchanan, the Episcopal congregation in Reno dates back to 1870 and originally held its services in a public schoolhouse. The original 1929 structure on the site is now the church basement. The church is locally renowned for its marvelous 115-foot bell tower, which contains a melodious carillon of 35 Flemish bells (the biggest one is 1,000 pounds). When the bells chime, the sound can be heard throughout the downtown. Additionally, the church contains one of the largest pipe organs in Nevada; a Casavant Fréres Pipe Organ, Opus 3778. Installed in the 1990s, the Canadian-built organ, which cost more than $400,000, has 37 ranks and 2,177 individual pipes, all of which combine to produce a rich and memorable sound. All three of the churches are, of course, open for services on Sundays. However, if you ever happen to be walking through downtown Reno and notice any of the doors open, be sure to stop to look inside. Each, with their elegant wooden pews, stained glass windows and quiet ambience, offers sanctuary, if even for only a moment, from the surrounding hustle and bustle.